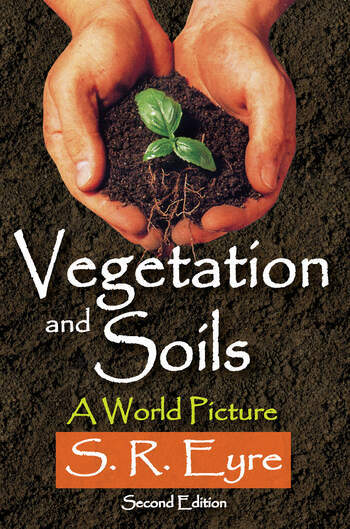 Vegetation and Soils is an introduction to the study of vegetation and soil distribution. In this accessible work, S. R. Eyre describes the distributions of these two important elements in the landscape. The book progresses regionally, and the land areas of the earth are subdivided according to the distribution of their main vegetation and soil types. The author argues that the nature of the soil is not determined by vegetation any more than it is determined by climate, but the nature of the vegetation always has some bearing on the nature of the soil, and vice versa.Eyre studies the ways in which plant communities and soil profiles develop and the complexity of the vegetation-climatic relationship. The middle and high latitudes are examined, as well as the tropical regions. In order to avoid broad generalizations of vast regions, the example of the British Isles is used to show that vegetation and soil maps can be misleading on a continental scale. The book concludes with a series of vegetation maps, which show the distribution of plant formations. Also included are tables providing climatic correlations with vegetation and a glossary of relevant terms.This classic work shows the intimate connection between vegetation development and soil development. For this reason, this book is a major contribution to the study of the physical aspects of geography and will be of particular interest to students of geography, botany, and agriculture.